Diverticulosis concerns the development of sacs in the wall of the GI tract. These sacs are referred to as diverticula and may appear anywhere in the intestines. In most cases, however, diverticula are discovered in the large intestine along the left side. This area is named the descending and sigmoid colon. Although you may have never heard of diverticulosis, it is a common GI condition that is found especially in patients over the age of 60. If you wish to seek a diagnosis of diverticulosis in California, Dr. Yamini and his team are here to help. You can arrange a consultation at one of two offices, either in Santa Monica or Beverly Hills. All patients are treated with the greatest respect, and care under Dr. Yamini’s leadership is second to none. What are the Signs and Symptoms of Diverticulitis? You may experience chronic pain or discomfort in the abdomen when suffering from diverticulitis. However, many patients do not experience any symptoms and may not receive a diagnosis unless receiving an endoscopic or radiographic exam from a qualified gastroenterologist. The causes of the condition are also unknown, although it has been linked to abnormal blood pressure that is localized to the colon. Perhaps the greatest concern for patients suffering from diverticulitis is the potential complications which may arise. Narrowing of the colon, abscesses, the development of fistula and perforation of the colon are some of the common complications associated with diverticulitis. Dr. Yamini provides regular screenings for patients who are concerned about the development of diverticulitis and a range of similar gastroenterology conditions. Are you experiencing symptoms of diverticulitis? 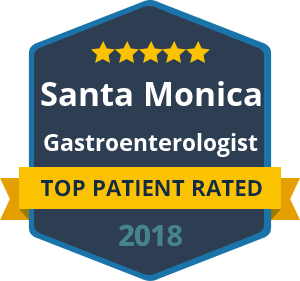 Seek diagnosis and treatment from an accomplished gastroenterologist in Dr. David Yamini at his California offices. Contact us today to book a comprehensive consultation to explore your options with a friendly member of our staff.